FabTime offers a commercially proven web-based dashboard system, focused on improving cycle time of wafer fabs. 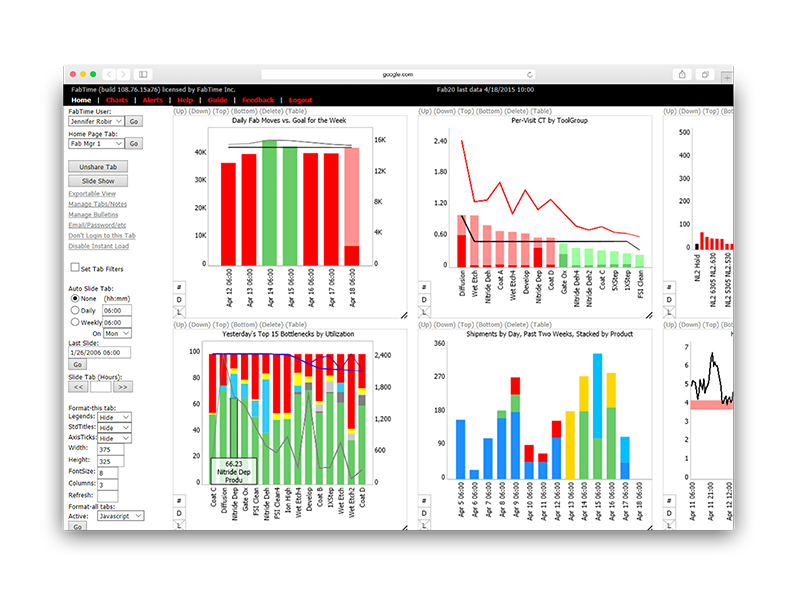 FabTime® provides a real-time comprehensive view of fab performance data — everything you need for proactive management of cycle time. Designed for hands-on use by managers and supervisors, FabTime® differs from traditional reporting tools, which were designed for programmers. Our web-based interface minimizes installation and training costs, and our comprehensive security model enables controlled system access for a wide factory audience. We also provide all the documentation, help and personalized customer support that you would expect from a focused, niche company. Standard reports for busy supervisors, managers and executives.